Following the worrying news of Richard Hammond’s serious car crash in Switzerland, Jeremy Clarkson has shared his own account of the accident. This weekend, The Grand Tour star Hammond was airlifted to hospital after losing control of a Rimac Concept One electric car. 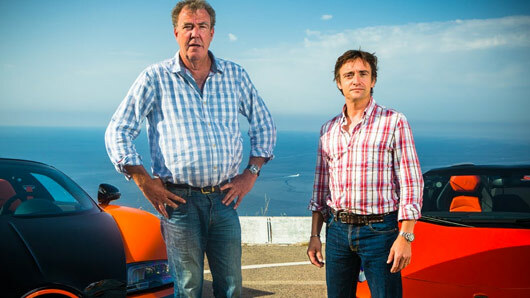 Hammond had been taking part in the famous Hemberg time trial while filming for the show in Switzerland, with his co-stars Jeremy Clarkson and James May. Sharing an update on DriveTribe, Clarkson has now detailed his own version of events, describing the moment he realised his long-term co-star and friend was in danger. “As I stood there, waiting for news, it dawned on me that the burning car was not yellow, as the Aventador was. It was white. Hammond’s Rimac had been white,” he wrote. “And I can feel it now; the coldness. My knees turning to jelly. It was Hammond who’d crashed. “I was joined at this point by James [May], who’d arrived on the scene just before me in his Honda NSX. He was in a right old state, his arms waving frantically, his eyes wide. ‘Hammond’s in there,’ he was screaming. “Then came news from a nearby marshal that he wasn’t. That he’d got out before the fire started. And that ‘his body’ – that’s what they said – was behind a screen at the bottom of the hill. Clarkson continued: “At a guess, I’d say he was doing 120 mph when he left the road and that he’d have been going even faster than that when he’d smashed into the road below. He wasn’t going to be a pretty sight, that’s for sure. Thankfully, Hammond did not receive any serious injuries and later posted a video from his hospital bed, thanking the medical professionals that came rushing to his aid. “I’d like to thank all of the medical professionals who got me by air ambulance from the crash to the hospital and dealt with me ever since,” he said. The Grand Tour will return to Amazon Prime Video in October 2017.